Learn science from a Christian perspective and a creation viewpoint. Study a variety of habitats, plants, animals, and insects in the natural world. 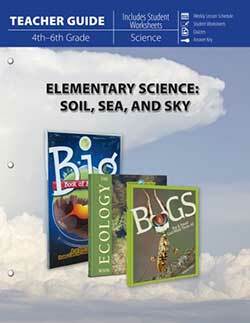 The Elementary Science Package is a one-year ecology science curriculum. 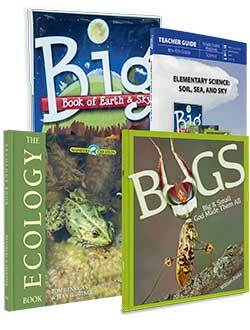 The Elementary Zoology Curriculum Pack includes one of each of the following items. 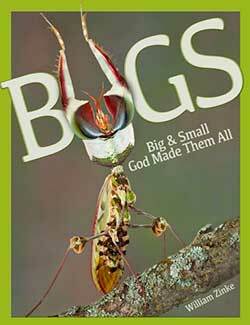 Compare and contrast the world’s largest insects, insects designed with camouflage, the most beautiful insects, the weirdest insects, and more. 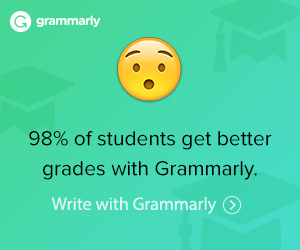 Develop vocabulary through important words and concepts. Gain insight into influential scientists and their work. Understand practical aspects of stewardship. 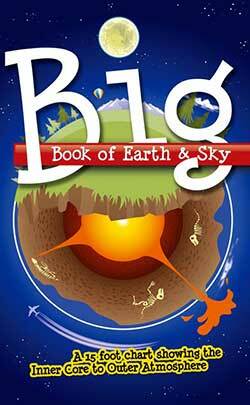 The Big Book of Earth and Sky unfolds to a 15-foot chart. You can remove it to display on a wall as a full-length display or viewed panel-by-panel. Your children will take a visual journey from the Earth’s core to the edge of the outer atmosphere. Along the way they can explore the elements that make up the earth, sea, and sky, examine detailed graphs about the earth’s crust, caves, and clouds, and scan facts and figures about the earth and sky. I guess you can think of it as a visual “fact line” because it is very informative and educational. The facts in this chart are based on the Wonders of Creation series. Grade: Elementary, casebound opens to 15 feet. Bugs is a field trip in a book. The Ecology Book (Wonders of Creation science curriculum) studies the relationship between living organisms and our place in God’s wondrous creation! The pictures in this book are stunning and capture your attention. I wanted to read and learn more about this subject, particularly because this “politically correct” topic is explained from a Godly perspective. We are to be good stewards of God’s earth after all. Investigate ecological interactions and connection in creation. 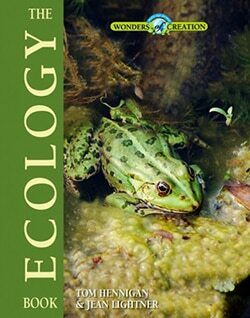 The multi-level Ecology Book is aimed at three groups: grades 5-6, 7-8, and 9-11. Each level is color coded. Fifth and sixth graders read level 1 information.